In this article you will read about ways to support student agency when developing foundational language skills in the Primary Years Programme (PYP) learners. Students learning through technology can find ways to work independently and gain confidence in their learning community. Embracing students and cultures from around the world, Dwight School London is a place where students, teachers and families support each other and become like family. Throughout the school day, one can often hear conversations in multiple languages whether that be students translating instructions for peers, parents discussing social plans at pick up times or the helpful multilingual staff who happily chat to students throughout the day. The wonderful nature of working at an IB World School is that this environment in which “translanguaging” is encouraged helps students develop empathy and tolerance towards others. With the exciting updates to the PYP in recent months, there is an increased focus on the development of home and family languages. As the PYP: From principles into practice publication states “translanguaging is a process in which students draw on known languages, naturally and flexibly, combining their elements to meet communicative and social needs”. In this process students use language skills from one language to support another. It is wonderful to see this in action when students give and receive support from peers or when a student has enough knowledge and understanding to translate a text from one language to another independently. What can be challenging is when students are developing the fundamentals of either language and need support to develop their understanding. Using GSuite tools to make collaborative vocabulary lists for new units of inquiry is a wonderful way to support student language development. Giving the students opportunities to define the words and translate them into their home language before commencing the unit of inquiry is a helpful way to scaffold their learning. These can be developed both in school and at home and could even become a collaborative action between students from varying year groups who speak the same language. Helping English as an additional language (EAL) students find ways to develop agency is important for their confidence when participating in a new learning community. Using Clicker Apps such as Clicker Sentences and Clicker Books to scaffold the development of vocabulary and sentence structure is a great way to engage students in their reading and writing. 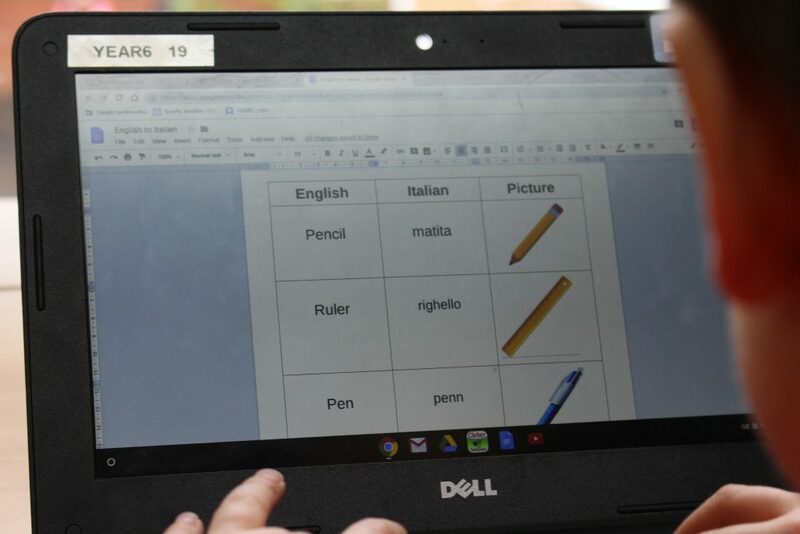 These tools allow users to build and use word grids (with associated pictures if necessary), receive plausible spelling suggestions and use text to speech tools to help with pronunciation and understanding. Recently I had a student who was determined to work independently but needed a lot of scaffolding when she first arrived. With the assistance of the Clicker Apps, she was able to take agency over her learning and very quickly we saw a boost in her self-esteem when interacting with others in the classroom. Giving students opportunities to rehearse their speech and ideas before presenting to others is important for a vulnerable language learner. A screencast tool such as Screencastify or Explain Everything allows students to capture a recording of their computer or tablet screen. As the child records the screencast, they can also give a narration of their actions. Apps with voice recording tools such as Seesaw work in a similar way. These types of tools might be used to demonstrate a set of student instructions or to reflect on elements of their work. Students who lack confidence in speaking in front of others can use voice recording tools to rehearse, record and playback their ideas. By allowing extra time, teachers can encourage students to reflect on their video and re-record if necessary, reassuring that mistakes are part of the process. This removes the pressure of public speaking and allows student voices to be heard. Due to the international nature of our school, we often have new students arriving at different times throughout the academic year. When students arrive with minimal English into a class of established routines and friendships, this can be challenging for both teachers and students. Arriving to a new country, a new home and a new school can be difficult enough but when this experience includes learning a new language, stress levels can be very high. Children often feel frustrated in not being able to communicate and need extra support to settle in with their peers. Not only can technology be used as a method of language translation, which admittedly does prove very helpful to students learning English as a second language, but devices can also be used as an avenue to build relationships with peers. An example of this occurred at the beginning of the year when a class welcomed a new student who spoke very little English. Frustrations for this student quickly arose as he found communicating difficult. To foster the building of peer relationships, students were asked to pair up and share their shortcut tips on a Chromebook with each other. Rather than having to rely on explaining his ideas, the new student was able to demonstrate his tips to the peer with great enthusiasm. Technology provided a common language for these two students and facilitated the foundation of their ongoing friendship and future inquiry collaboration. Learning through technology can play a purposeful role in supporting the integration of students into the learning community. 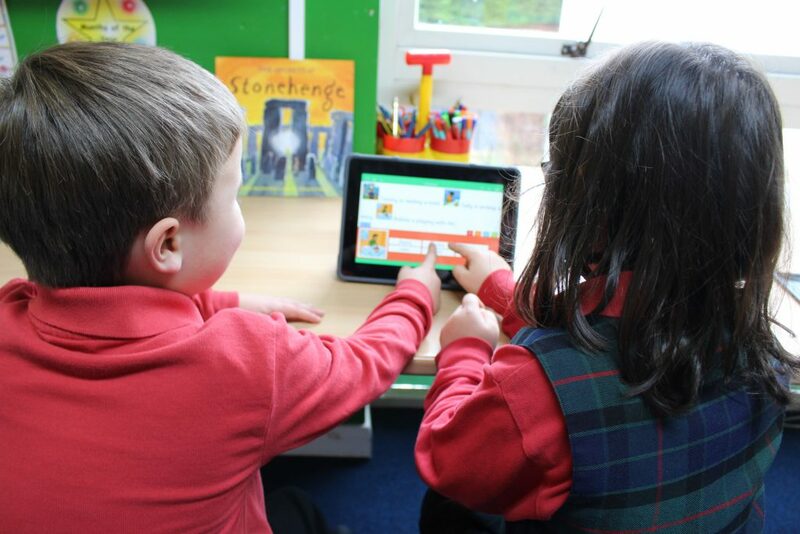 With the right tools, learners can feel a sense of student agency whilst developing their understanding of the main language used for instruction in their classroom. Nicole Rehman is a Digital Education Coach and a PYP teacher who has taught in both Australia and the United Kingdom. She is a Google for Education Certified Innovator and Trainer and has a passion for helping others integrate IT across the curriculum. 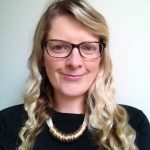 Nicole was a Digital Literacy Coach at Dwight School London in the United Kingdom and taught in various year groups over her 6 years of working at that school. Recently Nicole has returned to her homeland Australia and looks forward to working as PYP teacher again in 2019. Nicole writes about her teaching experiences on her personal blog www.nicrehman.com and you can follow her on Twitter @Nic_Rehman. Thank you, Nic! Very interesting read – I also enjoyed browsing through your blog. This was a very helpful post. I love that names of apps and programs were given.